Perfect for any actor looking to sign with a boutique agency who can give you lots of personal attention and be an advocate for your career! Gotham Talent is a well-respected agency with an impressive (and very busy!) client list. Cynthia would like to see either a side or a monologue of your choosing. 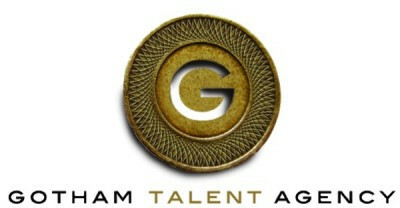 Established by industry veterans with over 25 years experience, Gotham Talent Agency represents actors for Theater, Film, Television, and Commercials. We have an uncommon depth of talent that includes Tony Award-nominees and television's most recognized characters. A boutique New York talent agency with a big reputation, Gotham Talent represents clients on HELL ON WHEELS, UNBREAKABLE KIMMY SCHMIDT, MADAM SECRETARY, BLUE BLOODS, THE PATH, BLACKLIST, HOUSE OF CARDS, UNTITLED LMN PROJECT, BRAINDEAD, THE DETOUR, THE AMERICANS, SHADES OF BLUE, QUANTICO, BULL, LAW AND ORDER: SVU, ELEMENTARY, PERSON OF INTEREST, and more. Gotham Talent Agency has represented clients in numerous Theater projects both on Broadway and on tour, including: FINDING NEVERLAND, HAMILTON, PARAMOUR, BAZ, MATILDA, JESUS CHRIST SUPERSTAR, BARE, EVITA, IN THE HEIGHTS, ANYTHING GOES, JERSEY BOYS, and WICKED, just to name a few. After taking class with David Bellantoni of Beth Melsky Casting, Natasha was called in for "Hello Toothpaste" and got a callback! After taking class with David Bellantoni of Beth Melsky Casting, Brett was called in for "Hello Toothpaste." After taking the Commercial Panel, Theresa is now freelancing with Melinda Brown from Avalon Artists! After taking class with TJ Stein, Theresa has been brought in twice to discuss signing with Stein Entertainment Group! After taking an intensive with Suzanne Smith Crowley of Chrystie Street Casting Danny Ramirez was called in and BOOKED a role on NBC's Blindspot. After attending a class with Brette Goldstein at One on One, Lee was called in to audition for "I Love You... But I Lied" and got a callback! After completing the commercial class with Stacy Gallo, Lucinda was called in by Jerry Kallarakkal of DDO and is now freelancing with Jerry! After attending Donna McKenna's last session, Malin was called in for a recurring role on a TV series! After attending a session with Donna McKenna, Noelle was called in for a recurring role on a TV series!